I finally got around to getting a Marti report on my Mach1...anyone have any luck tracking down the early days of their cars?? I talked to the old owner, and he can’t remember who he bought the car from. I also called the DSO dealership listed on this Marti report, but they have changed ownership a couple times since the 70’s and didn’t have any info. 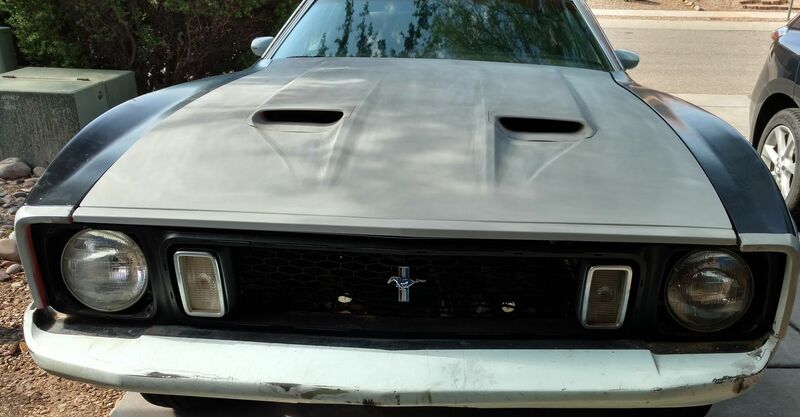 (06-07-2018, 12:54 PM)Fredensborg Wrote: I finally got around to getting a Marti report on my Mach1...anyone have any luck tracking down the early days of their cars?? I talked to the old owner, and he can’t remember who he bought the car from. I also called the DSO dealership listed on this Marti report, but they have changed ownership a couple times since the 70’s and didn’t have any info. It's impossible to get any data from the DMV on ownership. Some titles have a number prefix that designates the number of owners. Most dealers have trashed any records from back then. Did you check if Marti has a copy of your cars original invoice. previously referred to as the Lois Eminger invoice. There is usually additional info on it than you get on the marti report. No, but I will have to look into that. Does it come with the Elite version of the report? This one of my favorite things about this site is viewing all the other Marti Reports!!! You asked; "anyone have any luck tracking down the early days of their cars??" Yes I have had excellent luck for two of my cars. Don't give up!!!! Was easy to track mine down, lol. I ordered it and have original order, window stickers and the dealer invoice. 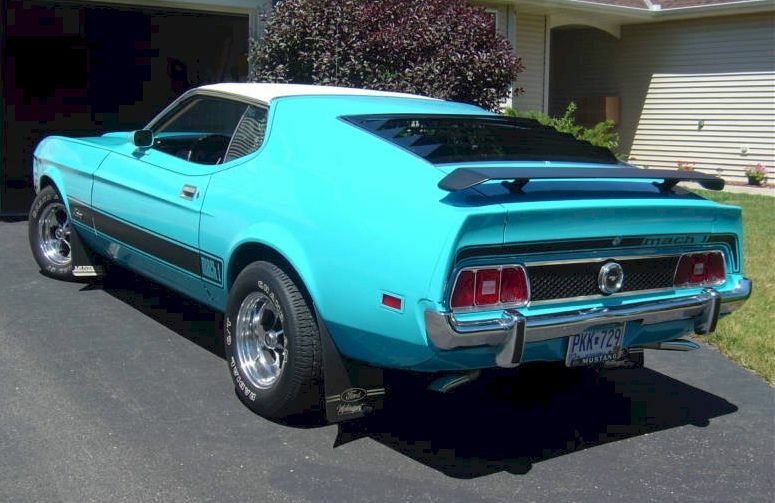 It is a 73 Mach 1. I also purchased the 20th. Anniversary Mustang from the same dealership. 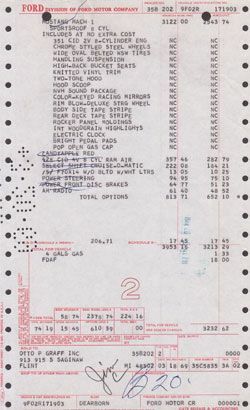 A couple years after I bought the 84 I ask my salesman if I could get their dealer invoice. So we went upstairs to the attic and bankers boxes were everywhere. We found the dealer invoice for the 84 and I ask how far they went back. He said since the dealership opened and that was the year I ordered the Mach 1. So we went deep into the boxes and found the one with May 1973 one it and there was my Dealer invoice for my car and he gave it to me also. I am sure when that dealer changed hands couple years ago they tossed all the old ones. Here are copies of my order form, window stickers, had two due to number of options, also the sales contract showing what I paid for it. My dealer invoice is not on this computer, it had the dealers cost for the options shown and sticker price shown. I think they made $200 for my car plus what ever incentives Ford paid. Another note. In North Carolina if you bring a vehicle from another state and it is 35 years old or older they do a background check. I had bought a 73 convertible from California. When the DOT officer did the check from his lap top in his car he said the car was stolen once but recovered the next day. So there are some records out there for sure. I went back looking at your marti and see the vinyl roof has been removed. I think they look great with it. Someone also added wheel lip moldings and rocker moldings look like could not get on Mach 1. Had lots of great options. I thought it was odd that he listed the NASA hood as an option when you got that with the Q code engine I believe. I do not think my window sticker even mentions it anywhere. I do like the blue with white interior just hard to keep clean. (06-08-2018, 06:02 PM)Carolina_Mountain_Mustangs Wrote: I went back looking at your marti and see the vinyl roof has been removed. I think they look great with it. Someone also added wheel lip moldings and rocker moldings look like could not get on Mach 1. Had lots of great options. I thought it was odd that he listed the NASA hood as an option when you got that with the Q code engine I believe. I do not think my window sticker even mentions it anywhere. Very nice car you have, I wish I was old enough to have purchased mine new! I did make some headway today actually, I spoke with the previous owner today and he recalls purchasing this car at a used car lot in the town I live in of all places! Small world, I called them today and the guy who currently owns the lot says he doesn't have any records from back then but he thinks he may be able to run a title check through his dealership...so I'll keep trying. As for my car, does the "White Levant Vinyl Roof" actually mean an exterior roof option?? I thought it meat the headliner, which is white?? Ive never seen a Mach 1 with a white roof? I will not swear that is what it means but here is one. There were 8,050 made in 73 with vinyl roof. Only 150 in 71. I have seen some DSO special packages with full vinyl roof but was not a Ford option. Dealers within a DSO group would sometimes get together and come up with special packages like the California Specials, High Country Specials, Twister Specials and the one I saw was for in Texas the vinyl roof looked like leather. There were a bunch of Mustang DSO special packages over the years.